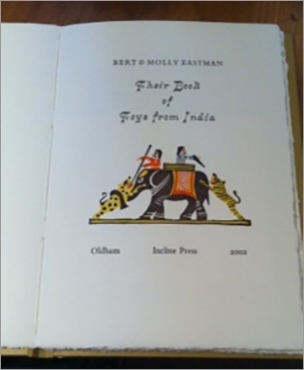 Although printed by Graham Moss and Kathy Whalen at the Incline Press, this book is really the work of Bert and Molly Eastman who first collected the toys, then made the lino-cuts and gathered the written information about the toys. The book describes with great affection not just the making and collecting of the toys but also the function they serve not just as play things but as tools in the aesthetic, religious and cultural education of children. It starts authoritatively, ‘Toys are not trifles’. Certainly not these ones, they are treasures, once seen, as Tipoo’s Tiger in the V&A, never forgotten. 250 x 170mm, 28 pages, edition of less than 200 copies. Hand-made Magnani 160gsm paper imported from Italy for this book by John Purcell Paper of London who also supplied the hand-made Korean paper used for the plates and on the binding. Hand-set in 14 and 16pt Monotype Bembo. Deepwater Horizon. Piper Alpha. These names have become synonymous with the oil rigs that keep factories running, houses warm and transport running. Life on any oil rig is lonely, gritty and dangerous. For those left at home, it is also lonely, and dangerous in other ways. Jonathan Wonham's poems spring from his experience on these oil platforms, particularly his time in Northern Scotland, where the loneliness, the fear, even the horror worked itself out in these poems. Each poem describes the scene from a different angle, a different point of view, a small vignette of oil and steel and the human condition. In the book the sky, the sea and the grey steel of the rigs form a monochromatic landscape that blends day with day. Yet there are also bright flashes of colour, brief moments of beauty. 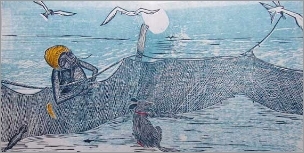 Nick Wonham, Jonathan's brother, adds the visuals to these vignettes, crafting the multicoloured linocuts that help convey the sense of each poem. 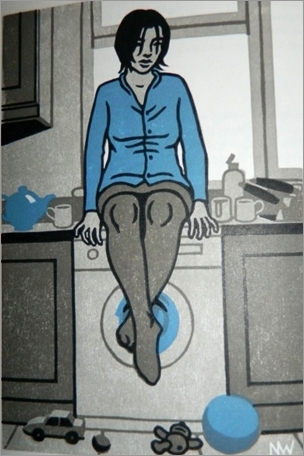 52 pages including 29 poems and 10 full-page linocuts. Hand set in Lectura and printed on Magnani Avorio paper. 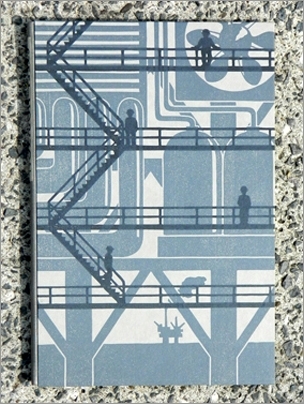 Hand sewn and hard-bound, the front board is covered in a grey paper printed with one of Nick's two-colour linocuts. 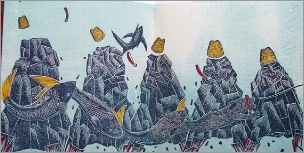 A two-colour vignette is printed on the back. 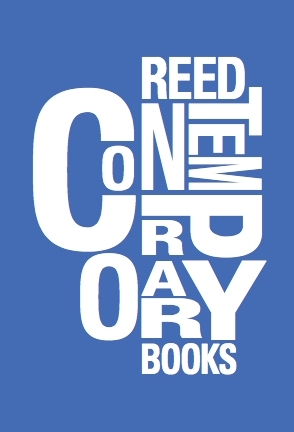 Cloth spine. A grey manila slipcase may be ordered with the book. This is a story without words of a blind fisherman, his dog and the bond between them. It is a story about lifelines and friendship. 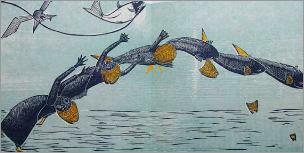 Its production is also a story, of bonds across the borders between England, Scotland and Korea and a shared passion for printmaking. It includes hand colouring too. 255 x 180mm, 16 prints almost 17 feet long, printed on Velin Cuve BFK Rives paper, internally sized, 180gsm, acid-free and buffered with calcium carbonate. Accordion folded in a hard cover and slip-case, using blue book cloth and hand made Korean paper, captured rather than glued. Edition of 150. Signed by Suyeon Kim and numbered. Also available in a special binding by Lori Sauer. 8 pages, 130 x 85mm, edition without number. Set in a pair of Stephenson Blake typefaces, Modern No 20 for the text and Thorowgood Italic for the title. 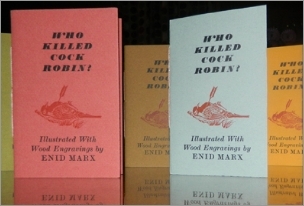 150 copies were printed on experimental papers from Griffin Mill, and this edition without number has been printed on acid-free paper. Emil Rudolf Weiss (1875–1942) was a painter, poet, illustrator, wood-engraver, graphic designer and calligrapher. He designed wallpapers, fabrics, furniture, stained-glass, company logos, ceramics and he painted murals. He designed books and magazines, ornaments to be cast in type metal and designed at least three major type faces and three sets of Weiss Initials. 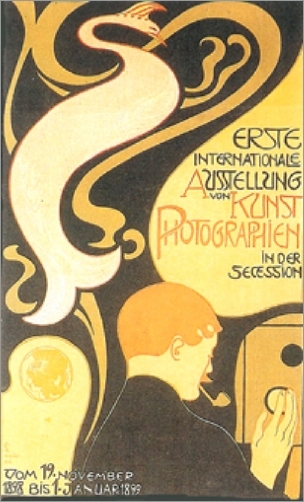 The book includes the text of a talk Weiss gave in 1925 on ‘Artists & Book Artists, Past, Present and Future’ translated and published for the first time together with an essay he wrote in 1911 on ‘The Book as an Object’. 350 x 240mm, 178 pages, edition of 250, printed on acid free Magnani paper with various archival papers for tip-ins and samples. Handbound in the workshop of Stephen Conway with a slipcase. The front board with a motif drawn by E.R. Weiss.